IPL 2018 RR vs MI live streaming will be available online via official broadcasters – Hotstar, AirTel, and Jio. You can watch live cricket match today on Star Sports network channels in English and Hindi as per your wish. Rajasthan Royals vs Mumbai Indians is the 21st of 60 games of this Indian Premier League season 11. Speaking of before the match, Royals and Indians both stand in the bottom four in the IPl 2018 points table. Rajasthan is at number 6 with two wins and three loses in five matches. While, Mumbai has fetched two points by winning only one game and losing three in four matches played so far in this edition. 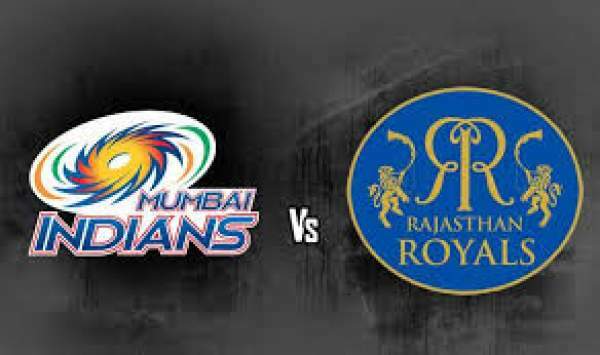 Today’s match of IPL Mumbai Indians vs Rajasthan Royals will start at 8 pm IST at the hosts ground, Sawai Mansingh Stadium. It is located in Jaipur. The toss is scheduled to take place 30 minutes before the actual state of the match, i.e., 7:30 pm IST. Here is the important information which you might need. It’s the second of the doubleheader on Sunday, April 22. Both the teams are placed in the bottom four of the IPL points table 2018 due to their poor performance in comparison to others. Despite having good players, both the sides have got a poor start to the tournament. Mumbai has got only one victory so far. While, Rajasthan is no better with two wins. MI and RR, both, need to show some outstanding performance to get themselves be placed in the top four in order to get qualified for the next round in the competition. The smallest cricketing format extravangza happens every year. As Rajasthan got a victory in the last game, they should be looking forward to continue their winning momentum. As far as Mumbai is concerned, they seriously need to perform, if they still want to stay in competition. This match is going to be interesting as both the teams need desparate victories as this point of time. The fans of the IPL 2018 can watch it on TV via broadcast on Star Sports 1 / HD and Star Sports Select 1 / HD in English commentary. For Hindi ball by ball updates, the tv channel is Star Sports 1 Hindi/ HD. Also, if you don’t the luxury of television, you can go for another option, live stream. The MI vs RR will be streamed live on Hotstar website, Hotstar app, Jio TV app, and AirTel Live TV app.